During the daytime hours, kids played street hockey and a giant team-branded Jenga game at what would eventually become ice-level. As it pushed into night and the families left, live music replaced the kids' games and workers from the Strip entered. Some came after their shifts, some before. The open house—a chance for those who had bought Vegas Golden Knights season tickets (or were considering it) to check out the team's T-Mobile Arena—began at 8 a.m. on Feb. 21 and didn't end until 8 a.m. the next day. The event was definitely uniquely Las Vegas—a three-shift festival for the NHL's new three-shift market. It was also a harbinger. The Vegas Golden Knights knew how to sell their game in this most nontraditional of hockey locations. The team estimates that 9,000 people wandered in and out of its open house that day and night (...and day), kicking off an incredible first season in which the Golden Knights have become one of the NHL's leaders in attendance at 103 percent of capacity (fourth in the league, according to ESPN) and maybe more surprisingly, in wins (most in the Western Conference). Team president Kerry Bubolz tells Bleacher Report that the team knew right away that aggressive marketing campaigns like the 24-hour open house had succeeded in finding a market for the NHL in Vegas. The Golden Knights were over capacity before the season began. "We didn’t know we were going to have the type of team on the ice that we have," he says. What was less clear at that point was how the crowd was going to be made up. Bubolz says sales of season tickets were 90 percent local, but that a secondary market for locals selling to visitors has become popular, thanks to the destination element of Vegas. "That could be a couple thousand people per game—but this is Las Vegas, and so we certainly understand why someone in Boston or Philadelphia or Chicago who wants to see their team on the road, why they would want to pick Las Vegas as a destination," Bubolz says. For now, the team is embracing having the fans from what Bubolz calls "historical" NHL brands that generally play in colder cities. He says it has even created a fun back and forth at some games between the Golden Knights faithful and the opposition that enhances the team's home-ice advantage. "It has turned into one hell of a home-ice advantage for us. It has been fantastic. It has made for like a playoff atmosphere literally every game." The result is the NHL's best home record—19-2-2—which only serves to increase home-fan support. The home record has also prompted talk of what some have dubbed the "Vegas Flu"—the idea that opposing players might not be at the top of their games in trips to Las Vegas because they're out partying the night before. The idea has been embraced by some in the media and by the team itself, but many around the game scoff at the notion that the losses at T-Mobile have anything to do with how players spend their time in Sin City. "I think it's just teams underestimating them and the fact that they have basically a team full of second- and third-liners, and they're all going to work hard for playing time," says Kings defenseman Drew Doughty, whose team is 0-1 in Vegas this season. Don Logan, team president of the Las Vegas 51s, a Triple-A baseball team that's played in Vegas since 1973, agrees. "I've been around hockey enough to know that they're very regimented in their approach, a hockey team is. They practice at specific times. They take a nap before they play games. They eat together as a team. They do their film work as a team," Logan says. "It's a very regimented sport in that, so to think that the plane shows up and bus drops the guys off at the hotel and they all just go crazy, I don't believe that. "You're a major league athlete. You can't perform to the best of your ability if you haven't gotten enough sleep or if you haven't eaten properly." Blue Jackets coach John Tortorella, whose team lost 6-3 in Vegas on Tuesday, backed up that sentiment, going as far as to say Saturday that he hoped his players would loosen up a bit in their trip Vegas. Torts on #CBJ players having fun in Vegas “I want them to go out. Playing guilty is a big part of being a really good player in the [NHL]. We don’t do that anymore. Heaven forbid! We have agents, and their whole entourage making sure u drink that carrot juice, and all this stuff"
If players have been avoiding the city's temptations, as they say, and with the Golden Knights' success—it goes a long way to calming any worries other sports have had about putting a team in Las Vegas. Maybe it's even provided a roadmap for the Raiders to follow in their move, which is expected to happen by 2020 at the latest, when their new stadium is complete. "It's just different. There isn't any place like Vegas," says Logan. "Whether the Raiders are coming here or the Chargers are coming here, ... the dynamics that are going to have to come together to make it work are different than any other market in the country." And should the Golden Knights be worried about what happens to their own success when they're no longer the only pro sports team in town? Bubolz says no. "We're in the business of promoting this community, and if the NFL and the Raiders coming here is good for the community, then we're on board with that," he says. "I also think the NFL is a significant additional spotlight that's going to shine on this community that the NHL right now wouldn't bring, because it's a different spotlight, so it's additive. So we're very much on board and supportive of everything that's happening, so we're excited about that." There are also, of course, differences between the NFL and NHL. The NFL has eight regular-season home games while the NHL has 41. The NFL has greater revenue than the NHL, as well as more fans in the United States. Also, the Raiders are an established national brand, while the Golden Knights are an expansion team whose motto is "Vegas Born," which gives them more of a local flavor. In a lot of ways, Vegas made sense as a relocation spot for Oakland. The Raiders brand is already strong in Vegas and the location is an easy travel destination for Raiders fans from Oakland or Los Angeles (another previous Raiders home) who want to spend a weekend in the area for games. "What I see with the Raiders is certainly, because we are such a diverse community, we have a huge—not small or medium or large—but huge fan base ... right here and of course, access is tremendous to the West Coast," Las Vegas mayor Carolyn Goodman says. "People could live and stay in Oakland and still come down here because of the numbers of flights and ease to get back and forth." Though the Golden Knights have become a sensation in the NHL, they still have a long way to go to become a stable franchise. And there are some factors that do still make the area questionable. According to Station Index, Las Vegas is the 42nd-biggest T.V. market in the United States, and according to the most recent census estimates, the Vegas metro area had 2.15 million residents as of 2016, which ranked 29th in the country. Building tourists into the ticketing models could hamper the Golden Knights in the long run, too. 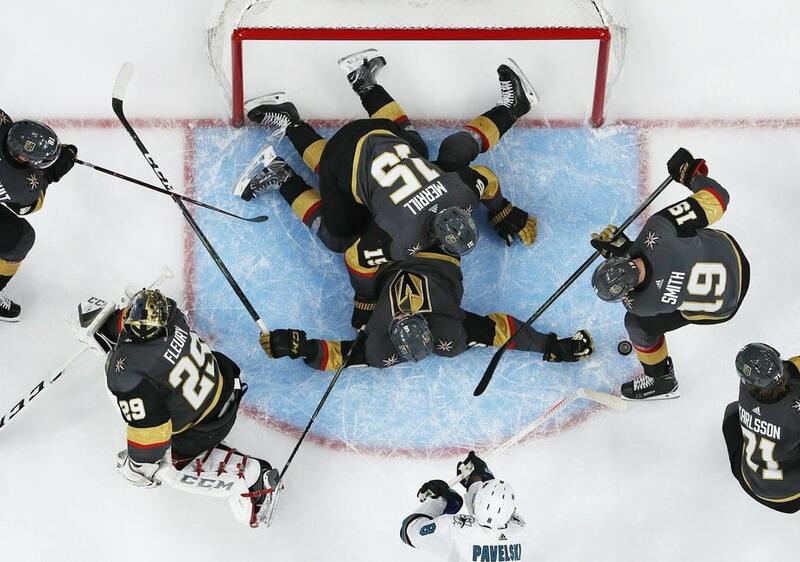 "The Vegas Golden Knights are enjoying a perfect storm resulting from the confluence of two events," explains Vanderbilt University sports economist John Vrooman. 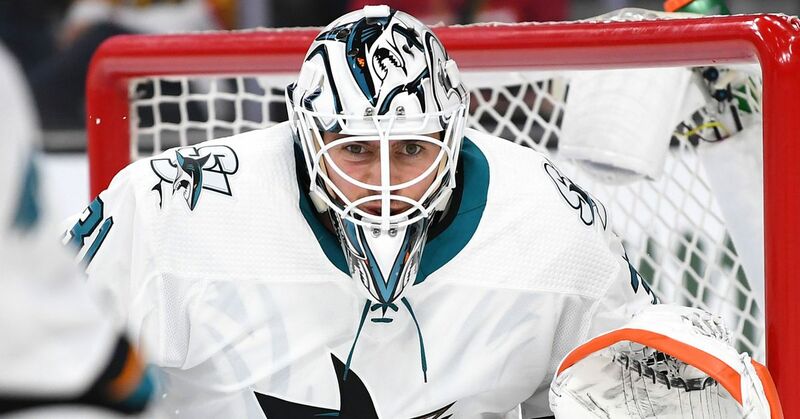 "First, the honeymoon period for an expansion franchise in a nontraditional hockey market like Vegas is usually about three seasons. Second, the home attendance in a nontraditional hockey market like Vegas is extremely sensitive (highly elastic) with respect to the quality of the team on the ice." In fact, Vrooman says, Vegas' success in ticket sales is likely to be even more tied to its success on the ice than other nontraditional hockey markets, because the impact of tourists and corporate ticket sales can't be counted on long-term and the city doesn't have the same type of steady economic pillars as other NHL cities. But for now, the area is riding a wave of momentum that's fueling hope beyond just the NHL and NFL. The WNBA's Las Vegas Aces will start play in May after relocating from San Antonio, and the Las Vegas Lights United Soccer League team will open play this year. This is, in many ways, realizing a dream that former mayor Oscar Goodman, husband of current mayor Carolyn Goodman, had in the early 2000s, when he started lobbying pro leagues to come to Las Vegas. "I'm very optimistic and just think everything is going to work great," Carolyn Goodman says. It's certainly off to the right start.